then see this page instead. NOT RECOMMENDED: One of the reasons for installing XAMPP is to be able to detect errors in your site and code. Disabling error reporting makes this a lot harder. 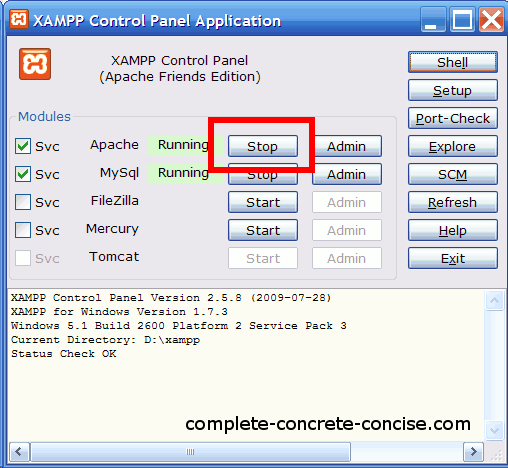 These instructions are for XAMPP version 1.7.3, but it should work for other versions as well. If you are getting errors, the CORRECT thing to do is to FIX those errors, not hide them by turning off ‘display_errors’. Those errors are still there whether the setting is on or off. Think of it this way, smoke detectors detect smoke from fires. If you have a fire in the house and the smoke detector goes off, pulling out the battery to silence the smoke detector does not fix the problem with the fire. 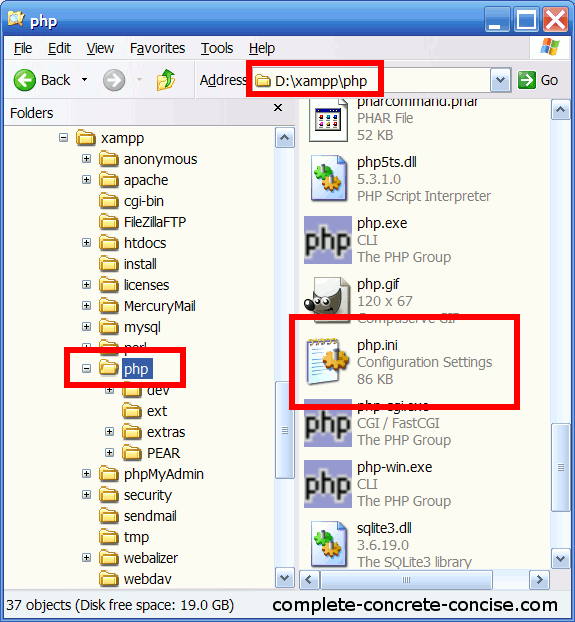 One of the default settings when XAMPP is installed is to display PHP errors when they occur. This is useful for debugging, but downright dangerous for a production environment. (1) Go to the php directory under XAMPP. Normally, this would be C:\XAMPP\php, but you may have installed it to a different drive or directory (mine is installed on my D: drive). Locate the file named php.ini . Open this file using a plain text editor – like notepad. Using a word processor (like Word) will very likely seriously corrupt the file. (I use an application called Notepad++). Note: The icon associated with php.ini will depend on what application is associated with .ini files. (2a) Find the line display_errors = On. In the XAMPP 1.7.3 install, this is line 531. (2b) Change the On to Off. NOT RECOMMENDED: The reason for installing XAMPP is to allow you to test and develop on your local machine. Getting feedback on any errors is important. These instructions do not work. I am sorry to hear you had problems, but this is the only way to change the behaviour of the php processor (aside from modifying the source code and compiling your own version). 2) do you have multiple XAMPP installs? Only one XAMPP install can be active at a time, so editing the php.ini information in the inactive install will not affect anything. 3) did you save the php.ini file after editing it? 4) did you edit the correct line in the php.ini file? 5) did you edit the correct php.ini file? 6) did you restart the Apache server? The guaranteed way to restart the server is to restart the computer (not Hibernate or Sleep, but Restart). 7) Did you restart your browser session? You at least need to refresh the Joomla! page on which you were seeing the warning message. 8) Is XAMPP providing your web services or do you have some other server – for, example IIS? I’m currently on holiday, so my ability to offer more detailed troubleshooting help is limited until I get back, but the likely cause is some small oversight. to: marc hill they did not work for you because you do not read. in php.ini file under “\xampp\php” folder. Thanks for your comment, but what you are doing is something different. 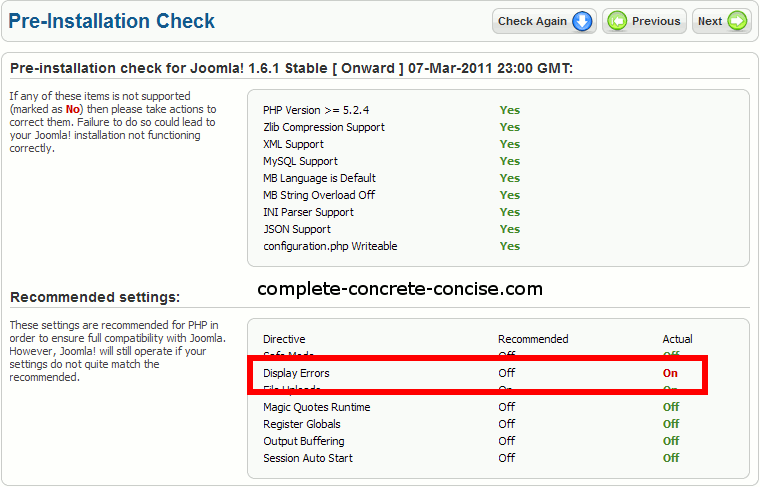 The flag display_errors instructs PHP to display or not display any errors encountered. 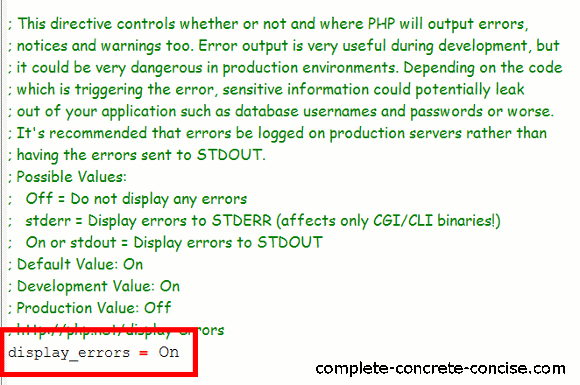 The technique you are using changes the level of error reporting that PHP does, but it does not turn of display errors. display_errors = Off but still not working..what else i must do? 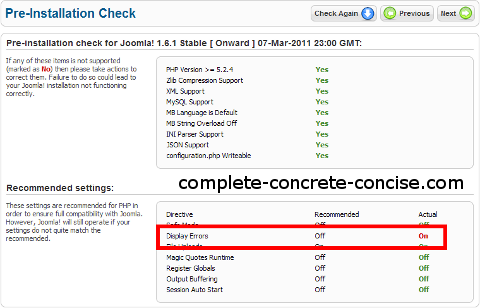 I am going to guess that you are trying to install Joomla! under XAMPP 1.7.4 or XAMPP 1.7.7 – if that is the case, then I recommend changing to XAMPP 1.7.3 (actually, I recommend it for whatever you are using) . The only reason you would need to use XAMPP 1.7.4 or 1.7.7 is because you absolutely need to use: PHP 5.3.5 or PHP 5.3.8 and Perl 5.10.1. In most cases, this is not necessary. Another reason it may not be working is that there are errors in the code. Turning off the display of errors does not make them go away. Most people who want this turned off wont fix any bugs anyway. I just want to run the site locally, modify what I need to modify, see that it runs and upload it to production. I could care less about some php warnings as long as the thing runs without exploding the server, it’s “good enough”. I agree, however, I can’t please everyone with every article. Developers need to understand that the proper way to deal with errors is to fix them, not hide or ignore them. For the average user, they expect their software to work – they don’t want to have to twiddle and fiddle with it. Following the paths to this article, it seems most people come here because they are experiencing problems with XAMPP 1.7.4 or 1.7.7 and Joomla! – which this tip won’t fix. The proper way to deal with their problem is to change the flag controlling error reporting in PHP to not flag deprecated constructs as errors. This article was originally written to placate those people who freaked out when they saw the Display_Errors was set to ON when Joomla! recommended OFF. Thank you so much, very helping material. It is more of a check list of things, I would say.